Starter boats are crucially important and arguably the most vital to get right. Choose wisely and you should have fun and a relatively trouble-free pathway into your new boating pastime. Get it wrong, however, and you will wonder why you ever bothered. (In fairness, getting it right also comes with regular bouts of wondering why you bothered, the difference is that they are outweighed by wondering how you ever managed without it). 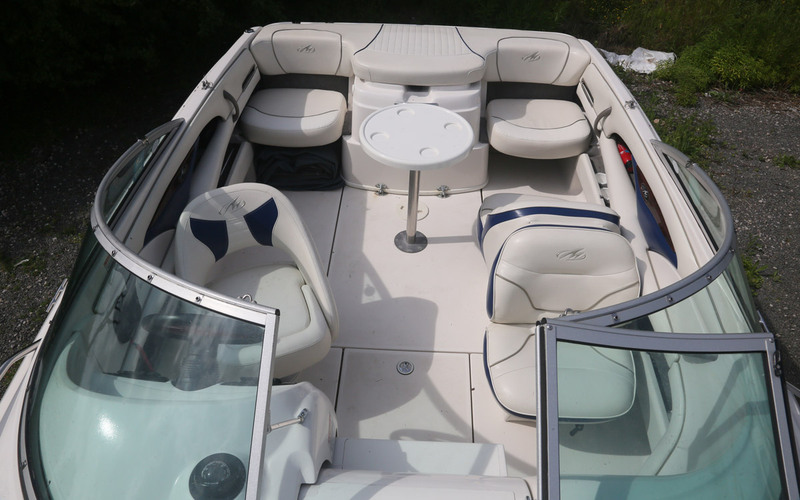 As a toe in the water exercise you’ll want to keep the cost down as much as possible but you also want a boat that’s going to allow you to stretch your water wings a little and explore your brave new world. You don’t want to outgrow your first boat within weeks of it arriving so try to stretch your budget and ambitions. Taking this into consideration, here are four starter boats worthy of your attention. Bear in mind that at this point you’re buying older boats. Good advice is essential, so get a survey. 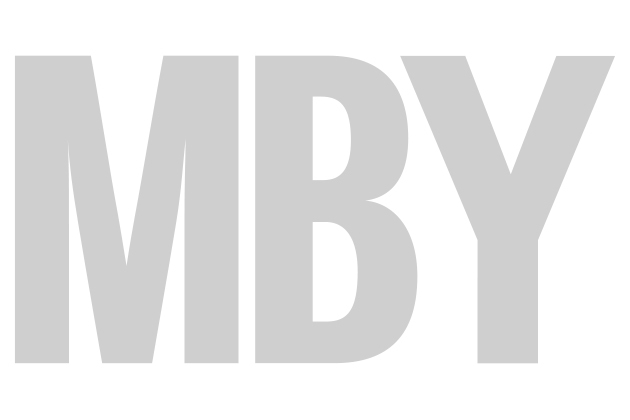 The clever thing about Monterey boats is that although they are usually very competitively priced from new, they do a great job of appearing anything but cheap. This 218LSC is a case in point. Look at the through-bolted pulpit stanchions mounted seamlessly to the deck rather than attached on the outside with self tappers, the glossy hull colours and the standard fit pop-up cleats. It is strictly a cuddy cabin, and one area where the prosaic build shows is inside, with plenty of bare shiny GRP on show and little in the way of facilities beyond a chemical loo and lockers beneath the seats. But there’s enough room to escape a shower or for two people, to sleep. What else do you really need? 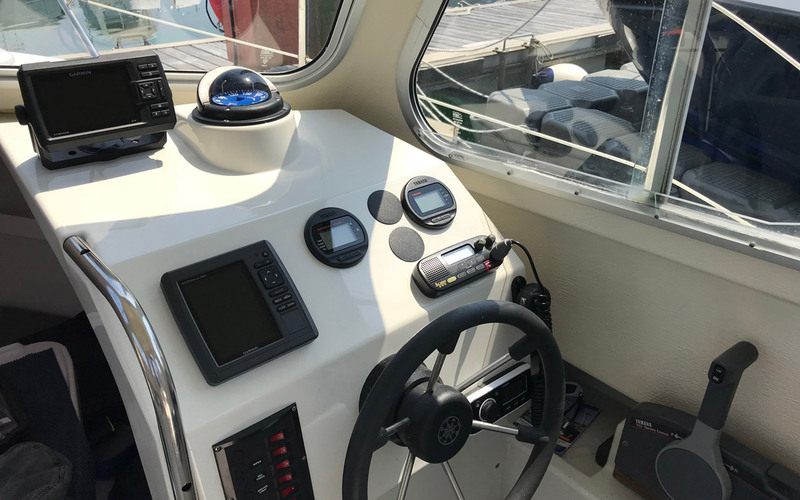 Pulling the cockpit right to the edges of this 8ft 6in wide boat creates plenty of space, and access forward isn’t bad – you have to go through the windscreen but there are helpful steps built into the sliding door (just be sure to latch it shut). 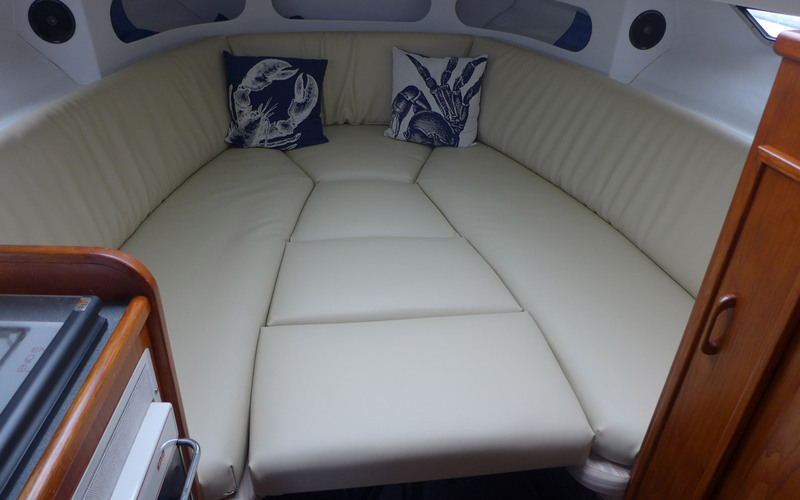 The helm seat swivels to join the party at rest, the back-to-back seats on the port side drop flat to create a sun lounger and the two jump seats either side of the engine box aft lift to create a sunpad. Most of these got Mercruiser 4.3 litre V6 engines in carburettor or fuel-injected guise and they went well. 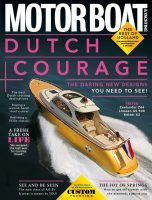 But a popular upgrade was to Mercruiser’s 5.0 litre V8, which gave 220hp in carburettor form or a sparkling 250hp as the fuel- injected MPI version fitted to this boat. Expect 40 knots plus. In common with many smaller American boats, seakeeping is geared more toward speeding across smooth lakes than punching offshore swells. At speed, in rough water, the ride is best described as ‘firm’. But it’s perfectly safe and manageable; you just need to adjust your speed to the conditions. You may recall the halcyon days of car magazines full of ‘buy a 25-year-old Porsche for the price of a new Ford Fiesta’ stories. Those days are over as anything that has escaped the scrapyard gets elevated to ‘classic’ status and is priced accordingly. 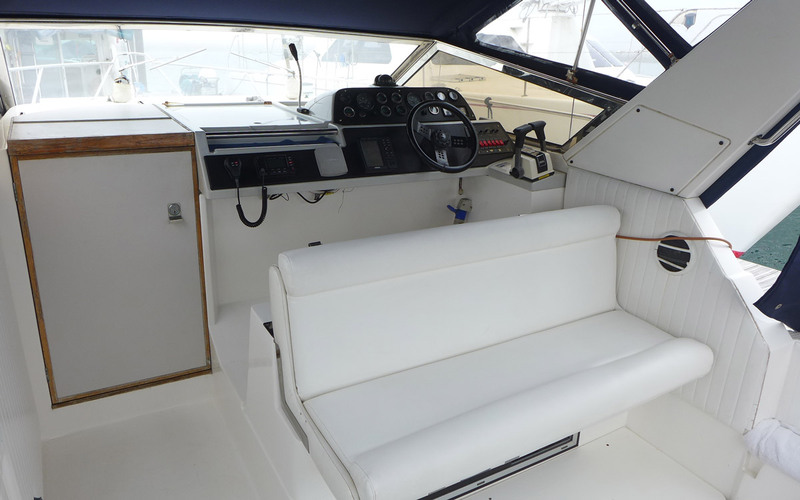 But in the boat world the concept of a classic has yet to catch on, which is why you can buy a 27ft Fairline for the price of a new 16ft Bayliner Element. The greatest strength of an older Fairline is the fact that the factory never grasped the fact that cheaper boats could be any less well built. It’s why the interior woodwork of this boat is every bit as solid as a 50ft Fairline of the same era. The layout is pretty standard for this type of boat, but the separate mid cabin (behind a proper door, not a curtain) is a nice touch that elevated it above its closest competitor at the time, the Princess 266 Riviera. There is more quality on the outside with the stainless steel windscreen surround and rubbing band, and the thick, heavily laid up construction. It’s not the most modern of boats – at this price you can’t have it all; in fact, it was basically a revamp of its Fairline Sunfury predecessor, with an integral bathing platform and transom door added and a few other tweaks. It’s a workable layout though, with decent side decks and a three-seater helm seat that flips backwards at rest to create a cockpit dinette. Fairline offered a remarkable eight different engine options; single or twin diesel, two single petrol options and four twin petrol options. The twin 205hp petrols of this boat were the largest and gave about 35 knots when new. Build quality is a reason to covet this boat. Seakeeping is another. The Bernard Olesinski-designed hull is superb, giving a soft ride and serious cross-Channel reach. 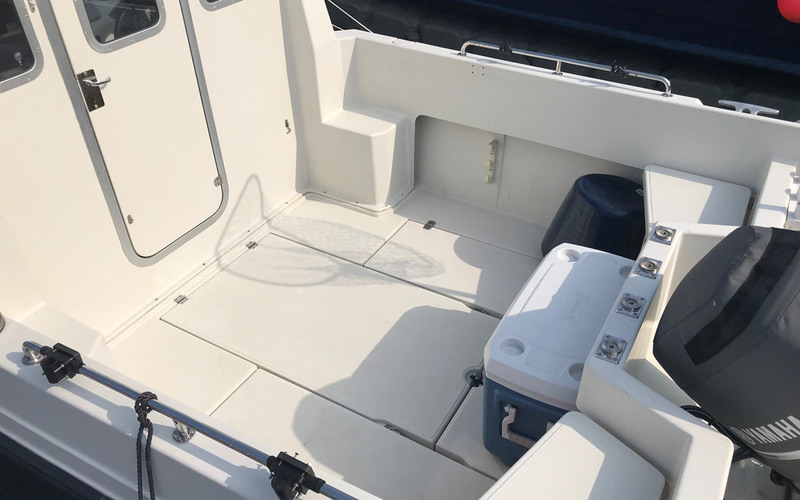 Thoughts of perfect first boats tend to err toward small fast day boats, and not unreasonably as they straddle a price spectrum of performance and manageability. But they tend to be small and not everyone feels the need for speed, so how about trading speed and youth for elegance, grace and acres of space? And while you may need to get a little more ‘hands on’ with this 44-year-old classic, it’s so simply engineered that if you’re competent with a screwdriver it shouldn’t hold too many horrors. The big news, literally, is cabin space. 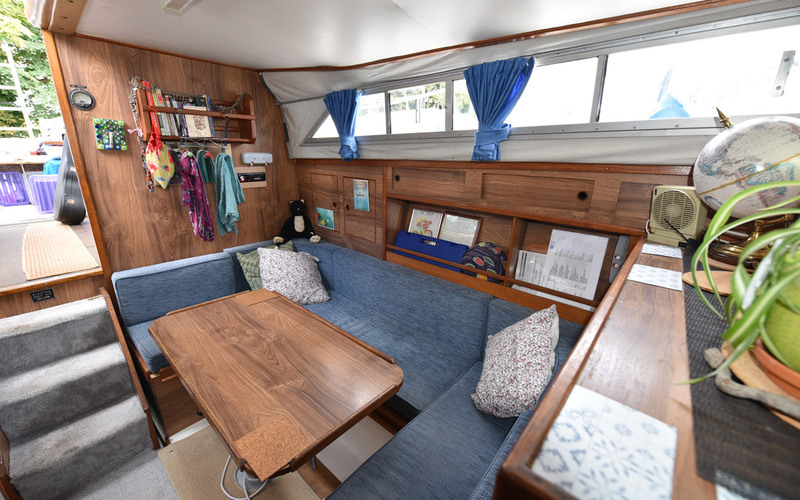 There’s a forward cabin with vee berths on the lower deck and the dinette opposite the galley creates a wonderful kitchen diner (and also converts to a double berth). On the main deck you’ll find a wheelhouse with a great view out and an aft cockpit on the same level. On the outside, the Princess 33 looks exactly like the kind of boats I used to doodle in my exercise books at school whenI should have been concentrating on something more worthy. With its set-square straight lines and perfect proportions it works well too, with decent side decks and flat cabin roofs. The engines are 50hp each, so speeds are going to be strictly of the displacement type – about 8 knots. That’s more than adequate for inland use and enough to push a bit of tide for adventures at sea. 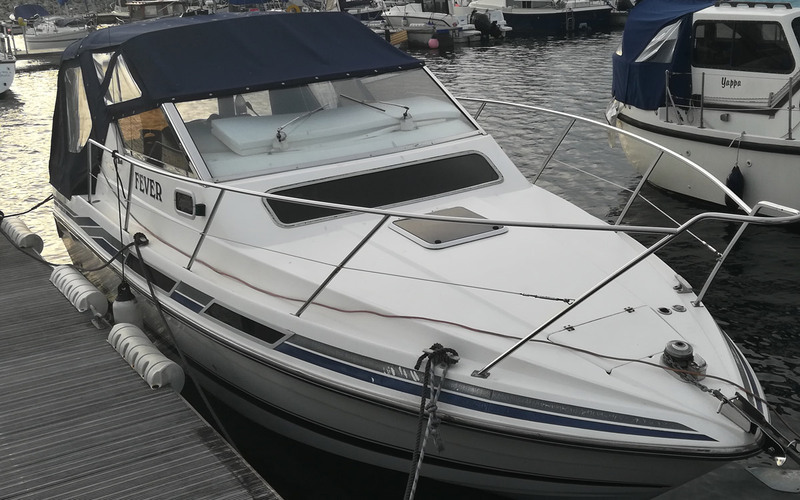 Princess fitted this boat with petrol and diesel engines in sterndrive and shaft drive configurations. At this age, there is a huge amount to be said for the simplicity and longevity of a straightforward set of stainless steel shafts with propellers. And because there are two of them, manoeuvring is actually pretty easy. Wide-spaced props beneath the hull rather than behind it exert plenty of leverage making spinning the boat on the spot a doddle. 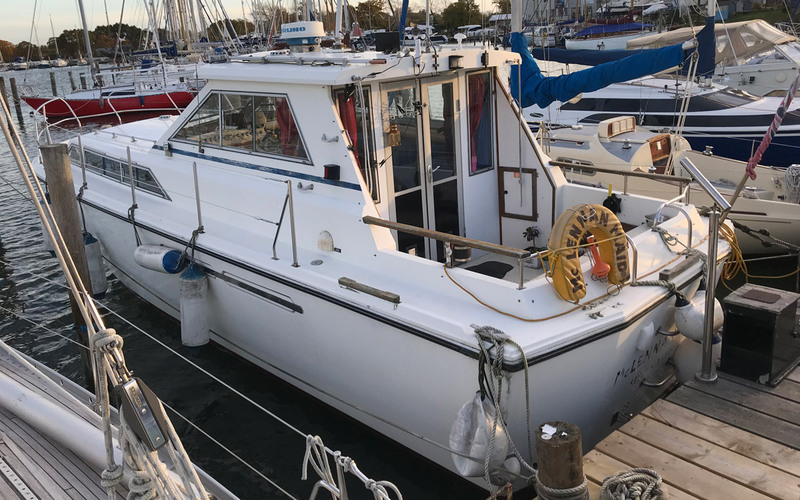 A builder based in West Sussex, the name originates from the design of its first model, a 16ft day boat launched in 1973 and based on early beach launched fishing boats in the Orkney Isles (3,500 of which have been built). Orkney has stuck to those roots, expanding into an 11-strong range of sturdy practical boats that span 13ft to 27ft. Like most of the range, the 20 is easily trailerable, keeping costs down and cruising options up. Pilothouse refers to Orkney’s range of wheelhouse boats. The 20 is the smallest of the current three boat range, yet still manages to pack in a compact fully enclosed and lockable wheelhouse that seats two, plus a lower area forward that will sleep a couple or, with the table installed, offer a small dining area. 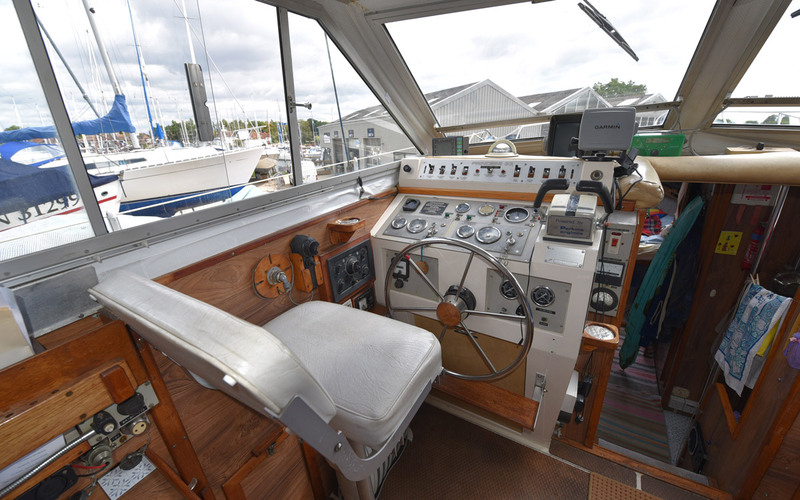 The cruising specification adds a tiny galley with a gas burner and sink under one of the seats. A sea toilet beneath one of the forward berths is another welcome option that increases useability for all the family. Keeping the wheelhouse compact maximises exterior space. 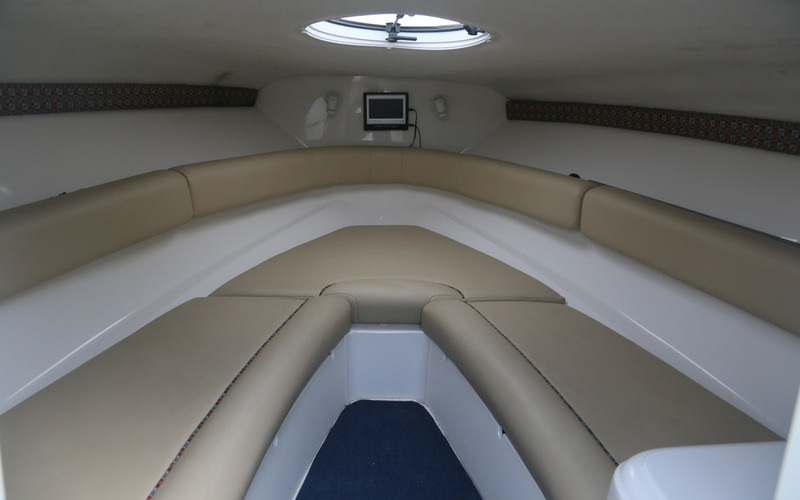 The Orkney 20 has a large, deep and safe cockpit, ideal for children and dogs. Steps built into the wheelhouse moulding help with boarding and heading forward, where really good handrails on the coachroof aid access to the foredeck. Masses of lockers mean that you can keep the cockpit uncluttered too. 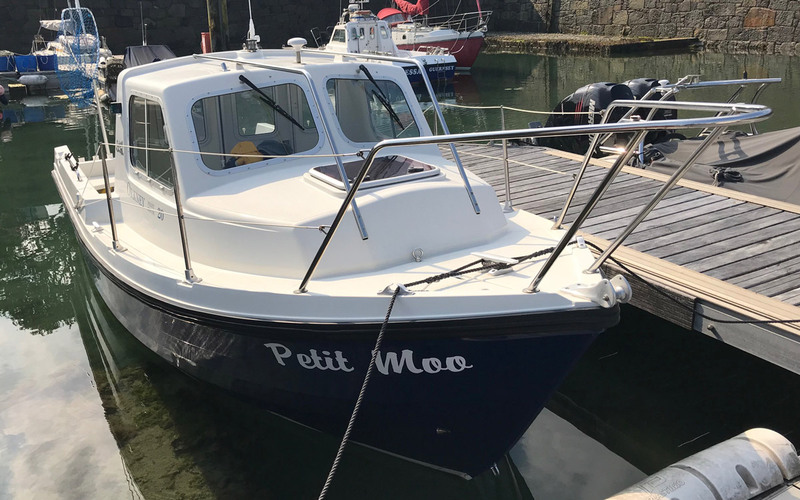 Orkney recommend engines between a potter-friendly 30hp, which will give it about 12 knots through to the 80hp engine fitted to this boat, which takes the top speed to 23 knots. But 18-20 knots seems to be its comfortable cruising gait. A nice fine entry to the hull gives the Orkney 20 excellent upwind ability and it’s pretty good downwind too. It’s a very solid and reassuring-feeling boat, although its light weight inevitably means that people moving about will affect its low speed directional stability.